Telugu superstar Mahesh Babu is currently shooting for his Tamil-Telugu bilingual with ace director Murugadoss. The film is said to be a big budget action entertainer and Rakul Preet Singh will play the leading lady. SJ Suryah has already roped in to play one of the antagonists while the team has now signed Bharath to play another negative role. The Chellame actor has already started the shoot and is said to be playing a solid character in the film. Harris Jayaraj is the music director. The first look and title of the film will be unveiled on Republic Day. >>Veera Sivaji rocks at the theatres! >>Jayam Ravi approached for Sangamitrra? >>Anirudh's New Video Song From Simba Is Here! >>Violent Partier - VP Launches Trippy Trailer! 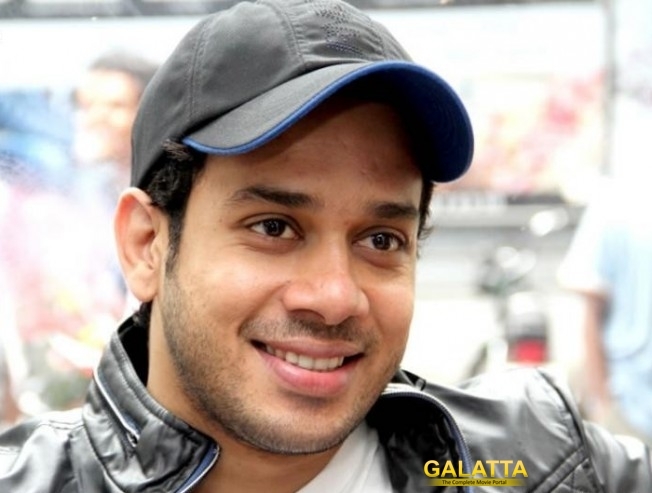 >>Bharath's Trippy 'Simba' Teaser 2 is Here! >>Kadugu to release on March 24? >> Priya Bhavani Shankar's New Web Series with Bharath!